For a few years now I've been looking for a way to connect with the Tree of Life in meditation. If you're not familiar with Kabbalah, look to your left for a glyph representing the Kabbalistic theory of creation and our relationship with the spiritual dimensions (I'll explain below!). I was hoping to connect with these spheres of light in a psychic meditation, like we used to do in class at The College of Psychic Studies. But I wasn't sure how to go about it - who will take you there? It wasn't until recently that I stumbled upon a technique known as Kabbalistic Pathworking, and I realized I already knew my guides: the Archangels, the planets and even the Major Arcana from my favorite tarot deck. But first, what is the Tree of Life? The glyph on the left side of the screen is known as the Tree of Life, representing the Kabbalisic theory of creation. It actually starts with the Big Bang, telling us that before the universe was created, all we had nothingness and pure light (at the top of the glyph you'll see three lines, with the words Limitless Light). In Hebrew these three layers of light are known as Ain, Ain Sof, and Ain Sof Aur, which essentially translate as exponential sources of limitless light. Its God before God existed if that makes sense, and before that spiritual light exploded in a Big Bang-like style, creating 10 dimensions the first of which corresponds to what we understand as God (Keter) and the last is our physical universe (Malchut). The eight spheres of light in between represent intermediate levels of divinity and spiritual substance, with increasing density as you approach our physical universe. It was all said to happen in a fraction of a second, with Keter creating the second sphere, that one creating the third and so on until we get to number 10. Each of these 10 spheres also corresponds to what you might call an aspect of God: Light, Wisdom, Understanding, Mercy, Power, Beauty, Victory, Glory, Healing, and Physicality. Each of these spheres (sephira) are seen to be individual spheres of light, though they transcend each other's space as well. In the lower-most 10th sphere, we can only see the physical universe with our five senses. Today I'll share a summary of the 10 Spheres of Light, looking at the themes for each, as well as the correspondences that I have found to be useful in my meditations. Each of the spheres has a planet and an angel that we can connect with, as well as a Tarot Card that can guide us from one sphere of light to the next. As an aside, I'm also studying Renaissance Astrology and this theory of connecting with the Divine through the planets fits in well. Renaissance Astrologers believed that between our Physical World and the Divine World of Archetypes, there was an intermediate Celestial World where the Archetypes were expressed by planetary and zodiacal energies, that then cascaded those Archetypes down to us. The two systems have a lot in common if we think of planets as conduits for energy. These three Spheres of Light, together with the Limitless Light, represent what most of us traditionally call God, whether you believe in One Supreme God, a Divine Feminine and a Divine Masculine or even a pantheon of deities that add up to one Supreme God, as is the case with Hinduism today. The Tree of Life is quite interesting that way, it can account for all belief systems, even Atheism. 1) Keter: This is the Crown of the Tree of Life, in Elizabethan times Keter was referred to as Prima Mobile, the Divine Cause or the First Cause. Keter's light is the fuel that keeps the rest of the Tree of Life going. Archangel Metatron is the Archangel of Keter, and it would make sense that he sits at the very source as Metatron is also the scribe of the universe, making note of our shared and individual histories in the Akashic Records. 2) Chokmah is where that Divine Light starts to take shape as Wisdom. It is linked with the Twelve Signs of the Zodiac, and with Archangel Raziel, the Keeper of Secrets and the angel that guides mystics. Funny enough, it was in one of my angel channeling classes where we connected with Raziel, that the Tree of Life and astral travel started coming to me as messages. 3) Binah is Understanding. 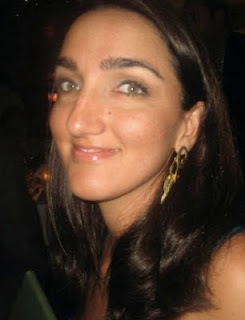 Representative of the Divine Feminine, she takes the wisdom from Chokmah and puts it in terms that we can undertand. If you're struggling to undertand your path in life, connect with Binah to get a glimpse of your big picture. Archangel Tzaphkiel is associated with Binah, helping us understand our struggles from compassionate and spiritual perspective. Binah also corresponds to Saturn energy, the planet of earthly limitations, reality checks and growth spurts. This is where the abstract energy of Keter starts to take shape in a more defined way. We're introduced to the notion of Right and Wrong, as opposed to pure love and light. This is where it starts to get real: how do we react when things go wrong, with anger and judgement or with mercy and forgiveness (or both). 4) Chesed is synonymous with compassion and mercy. Archangel Tzadkiel is one of the sweetest angels we can connect with when we want to work with the energy of forgiveness and love, also associated with Chesed. The planet associated with Chesed is Jupiter. In traditional astrology, Jupiter is known as the Greater Fortune, blessing us with luck, abundance and also spiritual growth and expansion. When we pray for a miracle, it is Chesed's energy that we are appealing to as it's forgiving and non-judgmental. 5) Geburah is about strength, power and judgement calls. Things are black and white when we connect with Geburah's energy and every action has a consequence. If we rely too heavily on Geburah's strength we may be too hard on ourselves and others. Ironically, Archangel Chamuel (Camael) is the angel of Geburah, and as the Angel of Love he can give us tough love, but he can also infuse us with softer, healing love to soften hard edges. The planet associated with Geburah is Mars (war, ambition and conflict). 6) Tipheret is the first Sephira on what's known as the Middle Pillar, the balance between the left-handed Sephira that tend to be more karmic, and the right handed Sephira that lean towards blessings. Tipharet takes the qualities of wisdom, understanding, power and mercy and combines them all in one beautiful sphere of life that I see as the "Heart of God". Tipheret is sometimes seen as the child Chokmah and Binah, from a Christian point of view, you could say this is where Christ Consciousness is, as its halfway between the Physical and the Divine, and capable of reaching both of them. It's planet, the Sun, and the Archangel associated with Tipheret is Raphael. Though still in the spiritual realms, here we start to see the blue print for our physical universe. I also believe this is where we find our angels, our spirit guides and our astral creations before they take shape physically. 7) Hod is said to represent Glory, but in all honestly I haven't connected with this energy so much so I'm not sure how else to describe it. Ironically, Hod's planet is Mercury (and Mercury rules my birth chart) so I should be familiar with it. And its Archagel is Michael, one of my favorites. I can understand Hod's energy if I think of it in Michael's terms: strength, courage, honor and the energy and backbone to secure a victory. 8) Netzach follows on nicely from Hod. This sphere of light is about Victory: the triumph of light over dark, health over sickness, joy over sadness. We can connect with Netzach for healing and also to work with Venus, known as the lesser benefic of the plants. Venus is the planet of love, material comforts, victory in wars and friendship. Archangel Haniel is linked to Netzach, and we can also work with her for healing and intuition. 9) Yesod is the last Sphere of Light before we cross the veil that separates the Spiritual World from the physical universe. It is associated with the Moon's intuitive, magical and healing energy. When we talk about the Law of Attraction its also Yesod's energy that we are drawing on, as our creations take shape in this dimension before manifesting here. Archangel Gabriel is the angel of Yesod, which makes total sense as he is the angel of speech and communication (we create with words) and also the angel of pregnancies, creativity and giving birth to new life. 10) Malchut is the final stop on our tour: known as the Kingdom. All of God's creative work in the upper realms comes to rest in the Physical Universe, where we live. We could call it the Kingdom of God, but I think we also need to accept our own role in the Earth's state of affairs. If we connect with the Tree of Life, we start to see its creative power in each of us, manifesting through the currents of energy that we tap into. 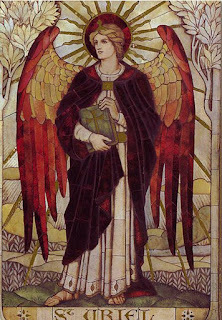 The angel associated with Malchut is Archangel Sandalphon, and he is also said to be the angel of prayers, music and nature. He listens to our prayers and the desires that are in our hearts, though he also have visibility of the big picture and our Highest Good. We can ask Sandalphon for guidance on what to pray for. Follow this link for a post on: How to Connect with Archangel Sandalphon, including one of my favorite meditations! 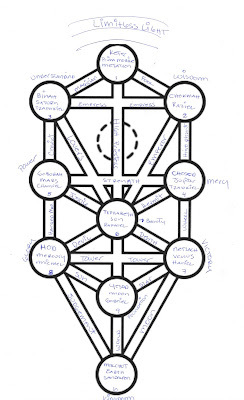 The Tree of Life is usually depicted as shown above, with 22 pathways that connect the different spheres. 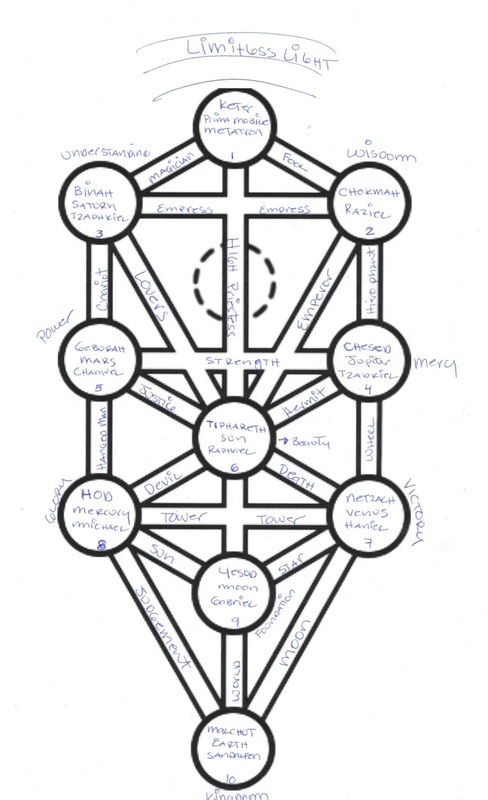 Kabbalistic Pathworking involves meditating on the individual spheres, and the pathways, and using those pathways to journey from one to the next. What's the point, you may ask? The more we work with our intuition and with the Tree of Life, the more magical and mystical secrets will be revealed to us. These could be concrete self-healing techniques, or even a greater understanding of how consciousness shapes our surroundings. We can also work with the planets if we have a basic understanding of our natal charts, and that will help us integrate energies that could be deficient (for example, I hardly have any planets in fire signs, and connecting with Tipharet, Chesed and Geburah can help me integrate that energy into my personality). 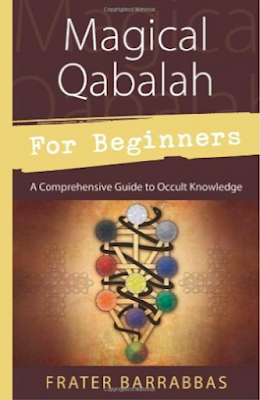 If you'd like to learn more on the Tree of Life and Pathworking I would really recommend Llewellyn Publishing's Magical Qabalah for Beginners, it explains Kabbalah in simpler terms than I've seen anywhere else, before going into Pathworking. I'm going to write one more post on Kabbalistic Pathworking, with a meditation where we will ask Archangel Sandalphon to guide us on the path between Malchut and Yesod. Use it to ask for guidance on healing your life. Stay tuned, it will be ready soon! Please subscribe to my blog on the links below. A side note! You may have noticed that the book I recommended spells Kabbalah with a Q instead of a K (and some websites will spell it with a C). One of the things I learned from this book is that there used to be three different schools of thought in this mystical system: Jewish, Christian and a third focused on magic. The Jewish tradition spells it with a K, the Christian with a C and those who integrated it into their magical traditions spell it with a Q.